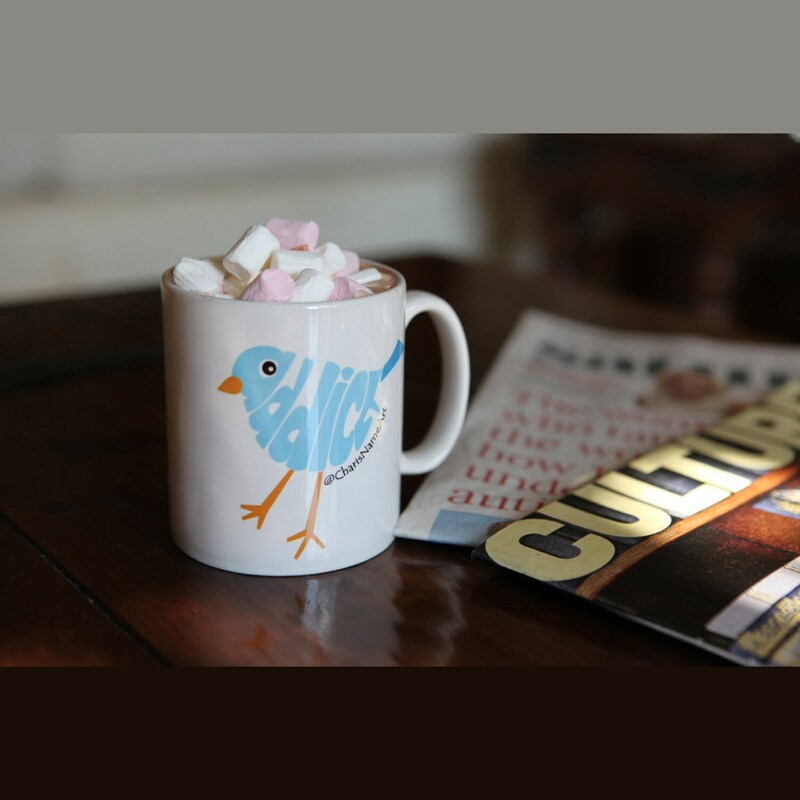 A personalized Twitter mug! The perfect gift for the person who loves Twitter as much as I do! 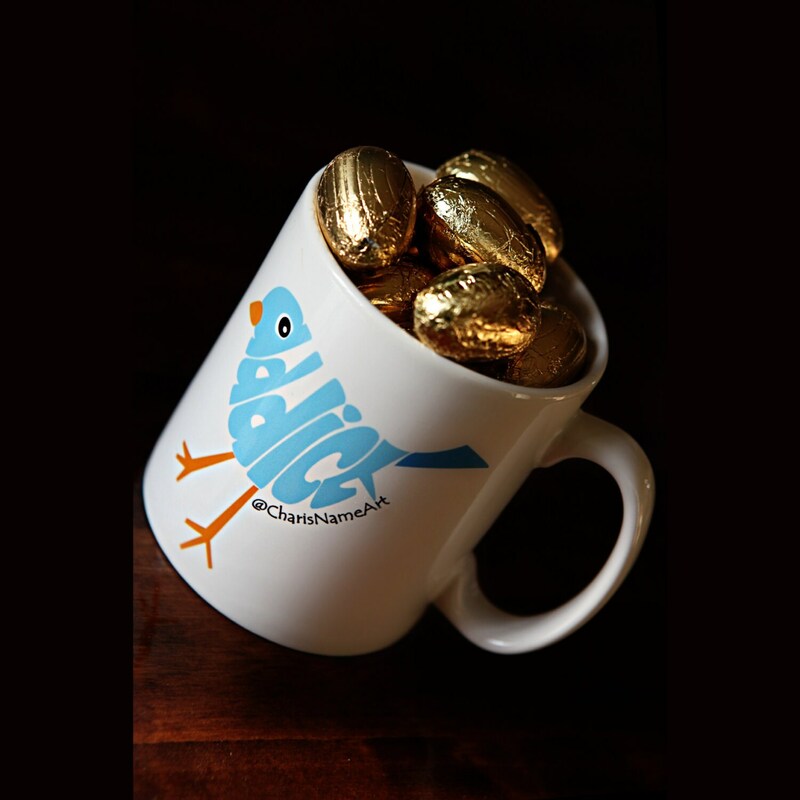 This is our most popular product, with our Facebook mug following close behind! 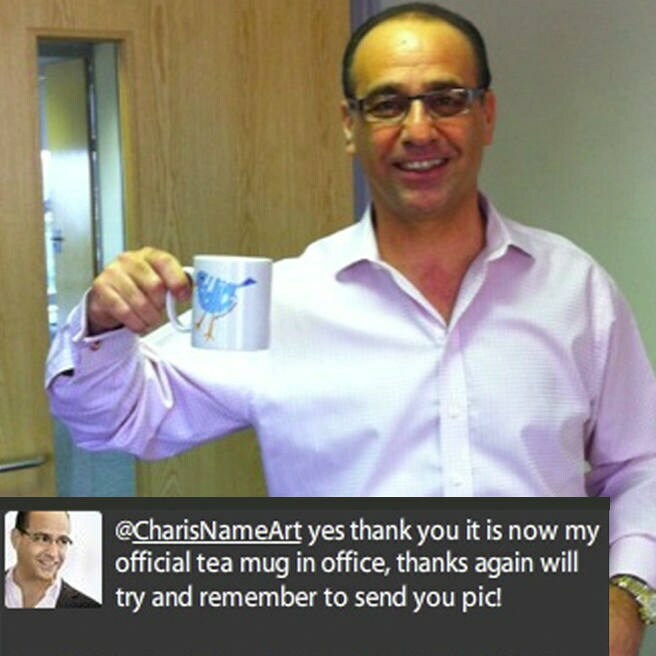 Theo Paphitis, Sarah Brown and Kirstie Allsopp are among the UK celebrities who own a Name Art #Addict mug! The bird is created using twitter-like colours. The body of the bird incorporates the word 'addict'. The image is on both sides of the mug. 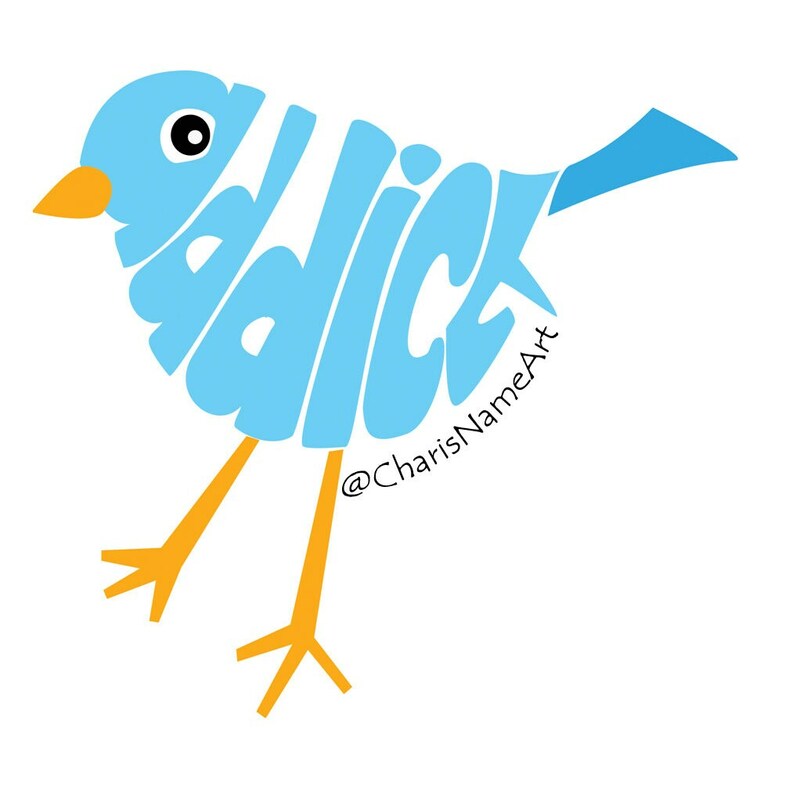 Around the body of the bird is the Twitter address, for example @CharisNameArt. 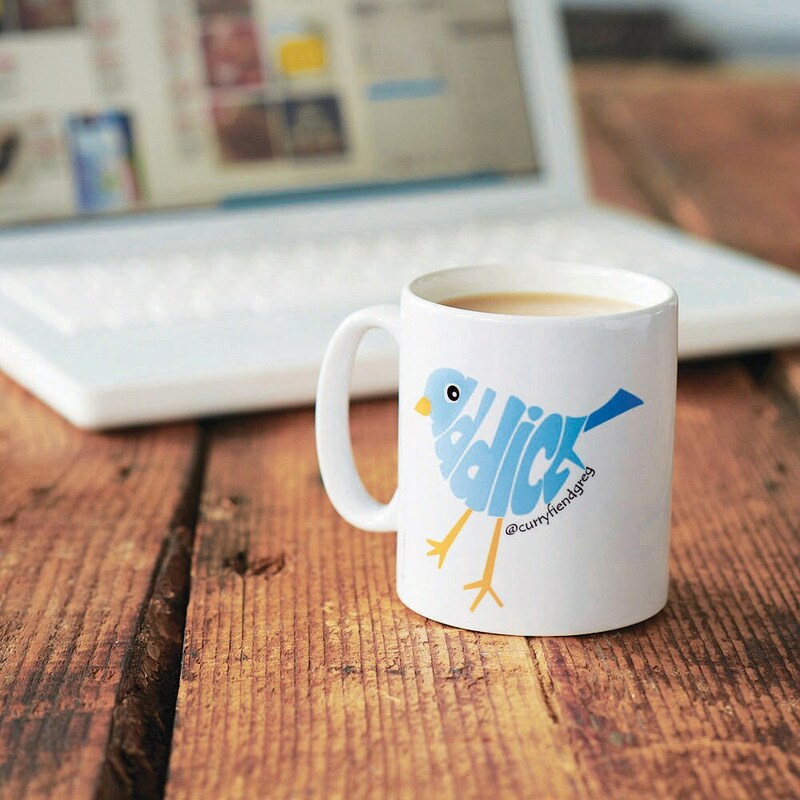 Please enter the Twitter name you require printed on the mug at Checkout. The mugs are approximately 9cm tall and 8cm in diameter. All the mugs are pressed in the Name Art studio...so the possibilities for further designs are endless...let me know if there's something you'd like. A mug will take up to a week to dispatch...but do not hesitate to ask for it sooner if you're in a hurry. The mugs are microwave and dishwasher safe...but, as with EVERYTHING, they will last for even longer if washed by hand.